The original study protocol, which EnhanceWellness is based upon, used a nurse practitioner/social worker team. Currently, a nurse/social worker team is used whenever feasible. 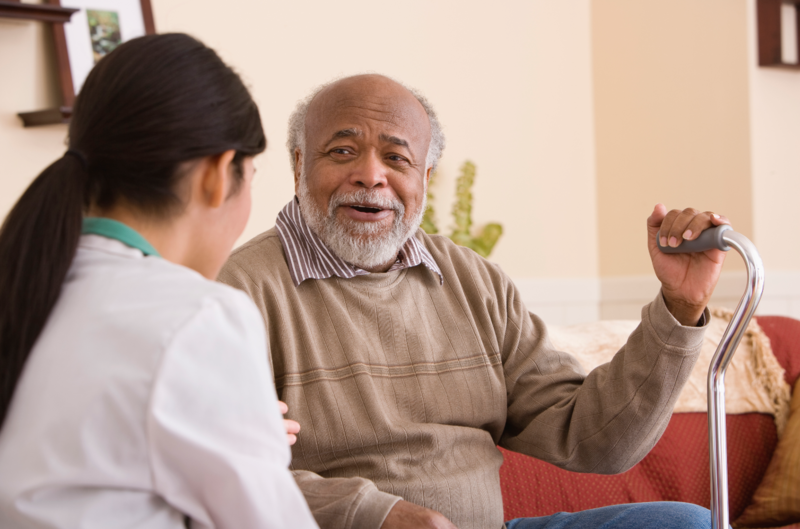 However, your organization can choose to use a Community Health Worker (CHW) with motivational interviewing experience to provide EnhanceWellness services. EnhanceWellness Counselor Candidates are trained by EnhanceWellness Master Trainers in a 2 day in person training. The training includes audiovisual material and slides provided and updated by Sound Generations. The instruction closely follows WellWare charting software and EW Counselor Manual which the new instructor keeps for reference. Role play occurs throughout the training in which the new counselor can demonstrate that they have learned the program protocols. New Counselor trainings are scheduled on demand at Sound Generations in Seattle, or at the site of a licensee. Sound Generations assists in coordinating national trainings, matching Master Trainers with training opportunities and ensuring that the training is conducted according to protocol.